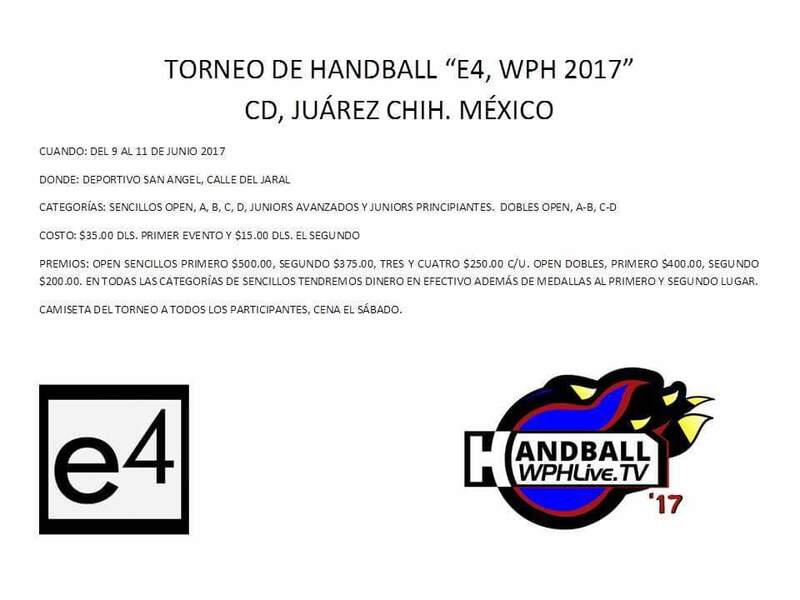 Juarez, MEX, WPH Press, 5/30/17- The Juarez handball community and the World Players of Handball are proud to present the Torneo de Handball Juarez 2017, June 9-11 in Cd. Juarez, Chihuahua, Mexico at the Deportivo San Angel Handball Club. Race 4 Eight Men’s pros Sean Lenning, Mando Ortiz, Luis Cordova, Daniel Cordova, Abraham Montijo, Shorty Ruiz, and Leo Canales will be seeking the prestigious Torneo de Handball men’s pro singles title, while Women’s Race 4 Eight stars Ashley Moler and Aimee Ulbert will compete for the women’s pro singles title. The pro players will be competing substantial prize money thanks to Torneo de Handball sponsors World Players of Handball, E4, La Tostada, Dr. iPhone, Terrasa Jardin Bruselas, Taco El Macizo, Taller El Rudo, Zurvita (Royer Gardea), and Taller La Ranita. 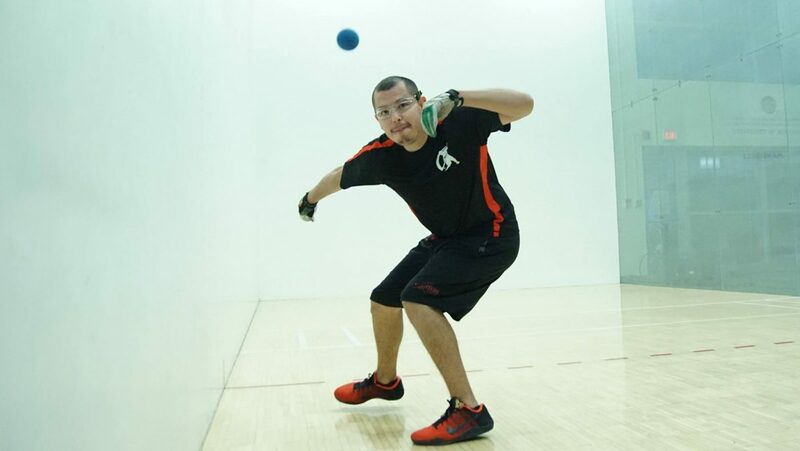 Luis Cordova Jr. enters the Torneo de Handball white hot, on the heels of a finals appearance at April’s R48 Player’s Championship and recent victories against top Race stars Robbie McCarthy, Sean Lenning, David Fink, and Vic Perez. Cordova Jr. and younger brother and fellow Elite 8 R48 star Daniel Cordova started the Juarez handball boom as junior prodigies more than a decade ago and through their outstanding play as a juniors and a pros, inspired one of the largest and most enthusiastic junior handball groups in North America. The 2017 Torneo de Handball will offer A, B, C, D, and junior singles and A-B, C-D doubles. To register, contact tournament director Luis Cordova Sr. at 915-300-8340 or message him on Facebook. 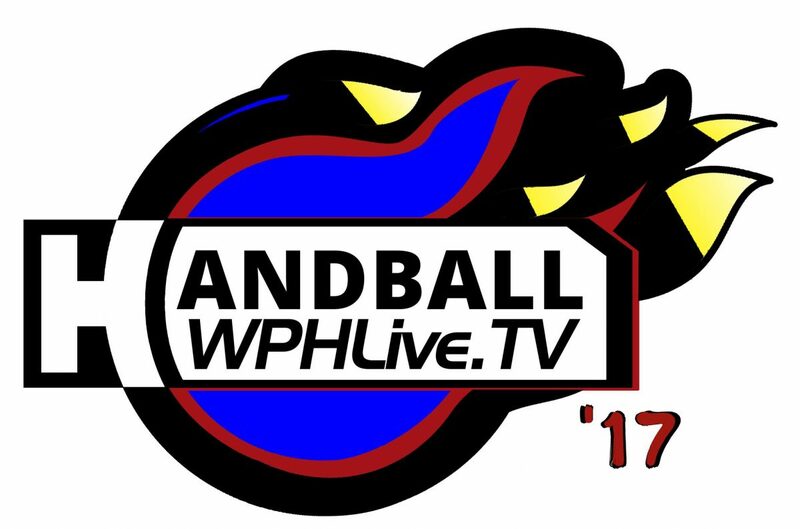 Log onto wphlive.tv, Like the World Players of Handball on Facebook, or follow the WPH on Twitter @dfwph and @wphlive for all of the updates from the 2017 Torneo de Handball and all of the handball news from on and off the court! The World Players of Handball is a non-profit foundation aiming to grow the game of handball through innovation and inspiring the next generation of players through junior clinics with Certified WPH Coaches, junior tournaments and the Race 4 Eight and WPH Outdoor tours.